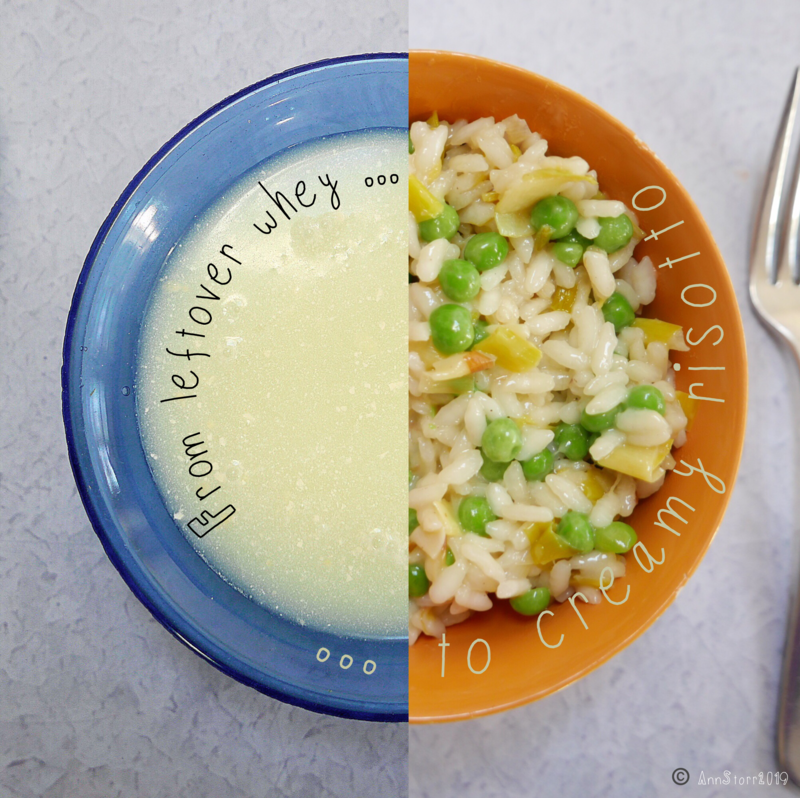 Whey is the most heavenly addition to a risotto. Simply use half whey half stock. Boom. That’s it. Simple. Nothing more to add! So … leftover milk made ricotta which made leftover whey. That whey has now inspired 3 meals. To me, this is how my best cooking works – I see what’s there and it sparks me to try something new, something unusual. What do you do to get inspired in the kitchen?